While 14 year old Andre Williams languished in prison, his old school mates were attending school, meeting girls, playing sports or hanging out at the corner store – the sort of activities teenagers might be expected to participate in. But Andre’s life took a different turn. He spent three years in Cape Town’s maximum security prison, Pollsmoor, where he had little choice but to join the prison’s gang culture by becoming a member of one of the infamous numbers gangs, the 26s. He’s still a teenager, but the tattoos on his arms belie his youth. Although Williams spent three years behind bars, he has no criminal record. He was never convicted of the armed robbery and possession of stolen goods for which he was charged. Unlike the four adult males who were arrested with him, Williams never received bail, as he had no fixed address or parent or guardian willing to answer for him. After being postponed 57 times, his case was eventually struck off the roll and he was released on June 29 last year. As a result, the Justice Alliance of South Africa (JASA) is suing the South African government, Ministers of Justice, Correctional Services, the Director of Public Prosecutions, Magistrate Johannes Lombard, the Legal Aid Board and the South African Police Service on Williams’s behalf. All are opposing the case. “No-one properly took cognisance of their constitutional duty to the child, to the extent that he was left in prison for three years,” said Williams’s lawyer Brendan Studti from law firm Grant Gunston Inc. But while there is some hope of redress for Williams, he is just one of over a thousand juveniles whose lives have been unnecessarily ruined by a yawning chasm between services supposed to be provided by the departments of social development, education, justice and correctional services. There are 13 prisons in South Africa which have provision for juveniles, with 1 275 youngsters between the ages of 14 and 18 years old behind their bars, according to the Department of Correctional Services March 2010 statistics. Of these, 504 were awaiting trial and 771 had been sentenced. Secure care facilities are supposed to house awaiting trial or sentenced children, and there are 42 of them in the country. The department of Social Development is currently working on a strategy to increase them, said spokesperson of the department, Mandla Mathebula. Figures for how many youths can be accommodated at these facilities were not given. 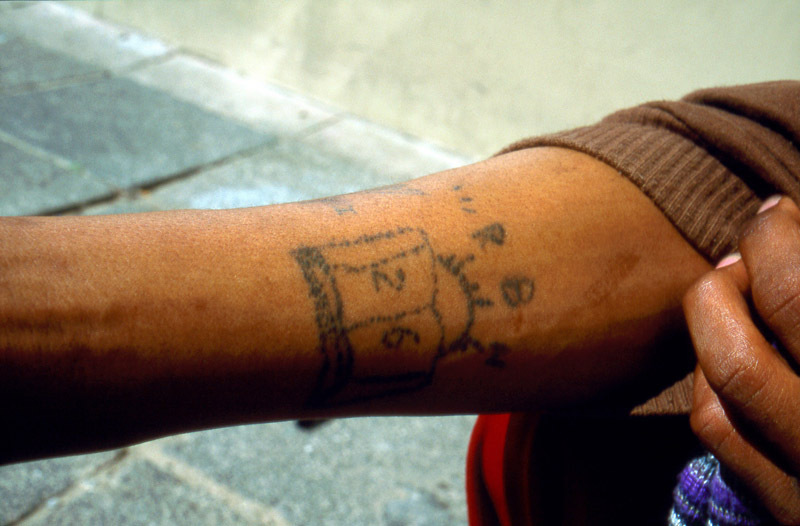 Alternatively, juveniles suspected of committing a crime are supposed to be sent to a reform school, but there are only two in the country, one in the Western Cape, which serves only the province, and one in Mpumalanga which serves the other eight provinces. Together, they can accommodate 280 youths. The Eastern Cape and KwaZulu Natal each have reform facilities attached to a school of industry. According to the Child Justice Act implemented in April this year, which focuses on restorative justice, prison should be a last resort for children who have committed a crime. “The Act looks at the way in which a child can take responsibility for committing an offence and making restitution… it is (also) geared towards crime prevention as well, so that the child can be a law abiding citizen,” said Lorenzo Wakefield, a researcher on the Child Rights Project from the Community Law Centre at the University of the Western Cape. Even under the previous Criminal Procedure Act and the Child Justice Bill, in force when Williams was incarcerated as a child, he should have been protected legally, say experts. “This should not have happened, as in terms of the constitution, every child has the right not to be detained (in prison) except as a measure of last resort, and if he is, only for the shortest period of time,” said Wakefield. Part of the reason juveniles ended up in prison awaiting trial was due to a dysfunctional welfare and education system, compounded by family dysfunction, said National Institute for Crime Prevention and the Reintegration of Offender (NICRO) senior social worker Arina Smit. “If we had a functioning welfare and education system, we would have a better criminal justice system…We cannot expect one system (Criminal justice) to address 18 years of trauma,” she said. In Williams’s case the welfare department should have stepped in a lot earlier, she said. And whatever criminal inclinations Williams had at 14, three years in prison have engrained them. True to South Africa’s recidivism rate which, according to the Director of Judicial Inspectorate of Prisons Gideon Morris, sits at between 60 and 90 percent, Williams has been back in prison awaiting trial for theft, having been in out of detention several times several times since his initial release last year. However, he remains unconvicted. “Ek is ongelukkig…my lewe het net so gegaan…ek kon my lewe met my familie spandeur het (I am unhappy…my life just went that way…I could have spent my live with my family),” says Williams.